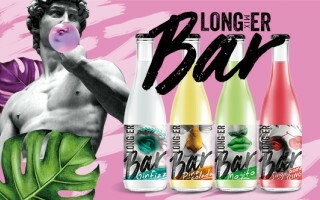 News of the company "Beverage Trading Company"
LONGmixER brand has congratulated everyone with the New Summer by issuing a new line of the classical carbonated cocktails under LONGmixER BAR brand. Relying in the neuromarketing studies’ results, Beverage Trading Company launched production of the new wine under FELICITAS brand. Arctica vodka for the second time in the row was awarded the Vodka of the Year title at the international tasting competition in Berlin.